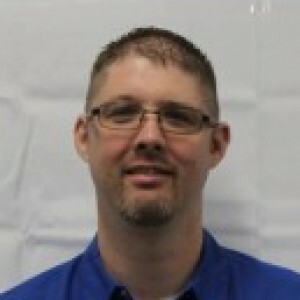 Adam P has a 5-Star rating and leads the company in total reviews, making this pro a ReviewBuzz Rockstar! While most people are sleeping, you'll find Adam fishing with his family and 3 dogs. I've been very satisfied with all my contacts and services with Blue Flame. One small suggestion: be aware that that the phone calls you receive from Blue Flame will give the caller's name but not that they are are calling from Blue Flame. If I don't know the caller I tend to assume it's a junk call. Blue Flame personnel recently installed a new gas furnace in my home. They were all a pleasure to work with and I would recommend them to anyone. They were very professional, quality conscious, friendly and efficient. Sales was conducted by the service manager, therefore no sales pitch. We like that alot. Crew arrived early to replace the furnace and water heater. All crew members were polite and answered our questions with clear information. They cleaned up before leaving. We're new owners of Rheem equipment now. I have no doubt that we'll be pleased with our new equipment; and, our continuing relationship with Blue Flame. Adam was early for the appointment, got right to work and had the problem diagnosed. He explained and showed me the problem. The most cost effective option is a new furnace; he presented various options for a new furnace without the sales pitch, letting me make my own decision. He definitely knows his stuff. I followed up with some second opinions. Their prices seem fair and the warrantees look enticing. I will likely buy a new furnace through Blue Flame and recommend them highly. I had a friend recommend Blue Flame to me, and I'm very glad they did! Adam came out and we talked about my options; I wanted a heat pump, mostly to help cool my house in the summer. He was very honest and clear about my options, explaining why I needed a new furnace as well: A, my old one was over ten years old, past warranty and nearing the end of its life, B, installing a heat pump in the old furnace would be a hassle when the old furnace gave out because the heat pump would have to be uninstalled from it before it was removed and then reinstalled in the new one, leading to more labor costs, and C, a variable speed furnace would help maximize the efficiency of my heat pump anyway. The pricing was clear, no surprises, no extra warranties, no gimmicks of any kind. Sold! I hired them to come in and get the new unit installed. The day before, I received an email not only confirming my appointment, but introducing everyone on the team that would come out to install it, so I'd know exactly who to expect. They were all helpful and considerate, and surprisingly quiet, for the sort of work they were doing . . . which was wonderful, considering I have an infant. Everything was cleaned up before they were gone, and they got the job done in one day, even running the new electricity line. The air filter was backordered, so they installed a temporary filter and had a tech come out later that week to replace it and show me how to do so. Thanks, Blue Flame! You also apparently do all kinds of electrical work now, so if I need an electrician, I know who to call! Sometimes lights flicker not sure if it's a result of the circuit breaker change out or not. This was a retrofit job as my home was built in 1976. I have lived here since 1984 and this is the first time I can say that the whole house is comfortable since having a heat pump / furnace system installed (and Air Filtration too). I had been thinking of getting this done for about 2 years and finally decided to do it. A close friend had this done only a few weeks prior by Blue Flame and it was great to get his feedback on the quality of this system. I feel that the service and the price were excellent and all of the stall that I talked to or saw in person were very professional and gave me a sense of knowing what they were doing. Every question I had was not only answered but in depth explanations were given. From the initial quote through installation I was kept informed of the progress. It is very refreshing to know that this kind of attention to detail still exists in this day an age! Great Job Blue Flame! 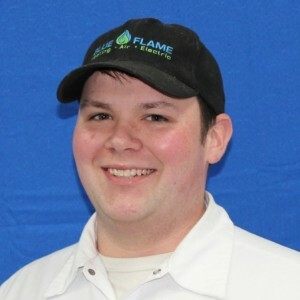 Twice my furnace has failed in the past 45 days and twice, Blue Flame Heating & Air Conditioning has come to my rescue. That is to say that on each occasion, they had someone at my house within 3 hours of the start of their work day and that the entire process was easy and effortless. From Toni who answered the phone to Adam (the Senior Service Tech no less) who came to my house, they made it all work for me. 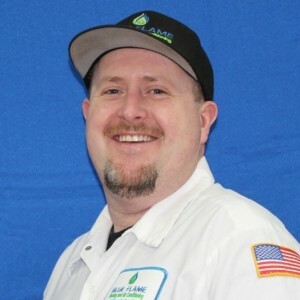 Even though my furnace had broken in December, I did not hesitate to call Blue Flame again as Adam explained to me what he was doing, what he would do, and what caused the problem (even how to fix it if it happened again). However, it was a different problem this past week and it was all fixed quickly and for what I felt was a very fair price. Thank you Adam and Toni. You certainly have earned my business. I have had this company out twice to repair and service my 17 year old furnace. Adam was professional and honest in his work and the information he gave me. He took the time to answer all of my questions. I also appreciate that even though Tracy gave me a four hour service window, they call half an hour before they are going to arrive so I wasn't completely tied to my house for four hours. Blue Flame is the best. They always provide great service, they have the most friendly and professional team members around, and they have been keeping my furnace in great condition for years! Thanks Blue Flame! Firstly, Adam was prompt and professional, a big plus for me. He gave options on repairing very old furnace or buy new one, without pressure. He was also waited patiently while I called my brother for advise on which furnace to buy! The install went quickly and Tommy and Casey were also professional and prompt as well as friendly. Highly recommend. Super friendly! Prices are fair. Took interest in making sure I was satisfied! 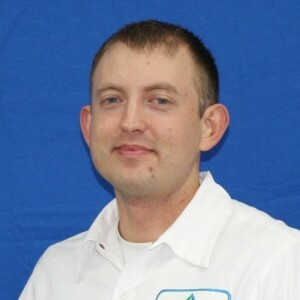 The Service Technician (Adam) was so knowledgeable, professional and friendly. Although the source of the problem could not be identified (because the symptom did not repeat during his visit), Adam gave me a wealth of information and tips on what to do if the symptom returns. 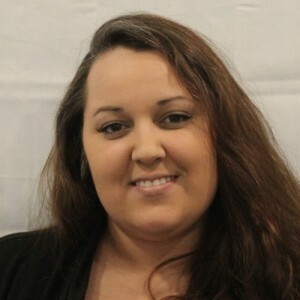 And Traci (in the office) made the process of getting help out to our home so easy and friendly. They both exhibited the finest in customer service and consideration. When our ancient furnace decided to give up the ghost, Blue Flame was able to get a repair technician out same day! Unfortunately it needed replacement, no repair would bring it back life. They were able to squeeze us in a few days later with a new unit. Everyone was amazingly friendly. Install was very good (despite running in to roadblocks in our funny old house). One thing I particularly liked: they charge a flat cost for installing a new unit, no per-hour labor. This worked great in our favor when they found the old unit was very stubborn and hard to remove. Great job. They arrived on time, were very friendly and professional, explained everything and left no trace. I will use them again.